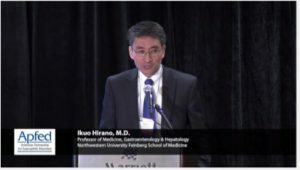 The Consortium of Eosinophilic Gastrointestinal Disease Researchers (CEGIR) is a collaborative effort made possible through awards by the National Institutes of Health (NIH). CEGIR brings together scientists, health care providers, patients, and professional organizations such as APFED to bring transformative changes to the care of patients with eosinophil-associated gastrointestinal diseases (EGIDs).In October 2014, the NIH announced $6.25 million in funding for the research of EGIDs as part of its Rare Diseases Clinical Research Network (RDCRN), which aims to advance clinical research and investigate new treatments for patients with rare diseases. CEGIR was formed from a 5-year grant to research eosinophilic and allergic disorders and train investigators in how to conduct clinical research. CEGIR focuses on research projects involving patients with eosinophilic esophagitis (EoE), eosinophilic gastritis (EG), and/or eosinophilic colitis (EC). CEGIR is a multifaceted, collaborative effort between academic medical centers, NIH scientists, and patient advocacy groups, who help ensure the needs of the patients are recognized and met. The consortium also includes an educational component focusing on the education of researchers, young scientists, clinicians in training, and patients. This collaborative consortium will include long-term study and follow-up of patients with EoE, EG, and EC to help researchers understand the natural history of these diseases, which treatments work for which diseases, and more. Additional pilot and clinical trials will also help scientists learn more about how to diagnose and treat these different EGIDs. Patient participation and feedback is critical to the success of these research projects. CEGIR recognizes a growing need for physicians that are trained to address the needs of patients EGIDs and the need for a greater focus in the clinical research arena focused on these diseases. The CEGIR grant (U54 AI117804) affords the opportunity to train experts through establishing a much-needed training program for these rare diseases. APFED is an active participant in this collaborative effort and has been involved since the application stage as a representative of the patient. APFED works in concert with CEGIR to ensure the patient perspective is included in all aspects of its work. We have also pledged additional financial support to supplement funding and help ensure the success of this project. APFED is honored to collaborate with the researchers of CEGIR and the NIH on this landmark project. We also embrace the opportunity to work with other patient advocacy groups and with CEGIR to bring about a greater understanding of these diseases and the patients who develop them. Progress toward improved treatments and cures is accelerated when patient advocacy groups and researchers collaborate with each other. APFED is proud to be a part of the Coalition of Patient Advocacy Groups (CPAG). This coalition represents the perspective and interests of all patient advocacy organizations associated with the clinical research consortia of the RDCRN. 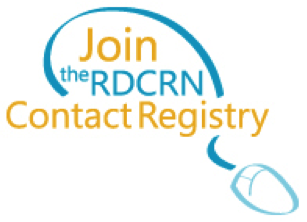 If you or your child has been diagnosed with an EGID, we encourage you to enroll in the RDCRN Contact registry. Your survey answers will help researchers to better understand EGIDs, and enrollment will keep you up-to-date on opportunities to participate in research. Learn more and enroll at http://www.rarediseasesnetwork.org/cms/cegir/Get-Involved/Contact-Registry. Have you seen the latest issue of the RDCRN-CEGIR Contact Registry newsletter? It describes projects currently underway by the Consortium. To subscribe to these newsletters, follow the links in the PDF to enroll in the Registry. Access the newsletter at rarediseasesnetwork.org/cms/cegir/News-Events. CEGIR (U54AI117804) is a part of the NCATS Rare Diseases Clinical Research Network (RDCRN). 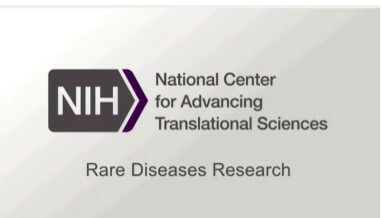 RDCRN is an initiative of the Office of Rare Diseases Research (ORDR), NCATS, funded through a collaboration between NCATS, and NIAID and NIDDK.